The Sussex Stakes is a Group 1 race; that is run over 1 mile at the Glorious Goodwood Festival. The Sussex Stakes is for three-year-olds or older, and is known as the feature race of the whole festival. The Sussex Stakes dates back to 1841 and was run over 6 furlongs and was for two-year-olds. Then in 1878 the race was changed to a mile and made for three-year-olds or older. The late great Sir Henry Cecil is the leading trainer in the Sussex Stakes with seven wins, the first dating back to 1975. Over the last six years, we have been treated to watching some of the best mile horses in the world winning at Glorious Goodwood. In 2010 the Richard Hughes trained Canford Cliffs was victorious, Canford Cliff would go on to win six Group 1 races. Over the next two years we were treated to watching a racing superstar, as the Sir Henry Cecil-trained Frankel would sweep all in his path away. In 2011 the race was billed as Canford Cliff v Frankel, as many thought that the 2010 winner could be the first to defeat Frankel. How wrong people were as Frankel was just too good, and left the field trailing in his shadow. 2012 was the same as 2011 as no one looked like ever getting near the superstar Frankel, by now Sir Henry’s superstar was widely regarded as the best racehorse on the planet. 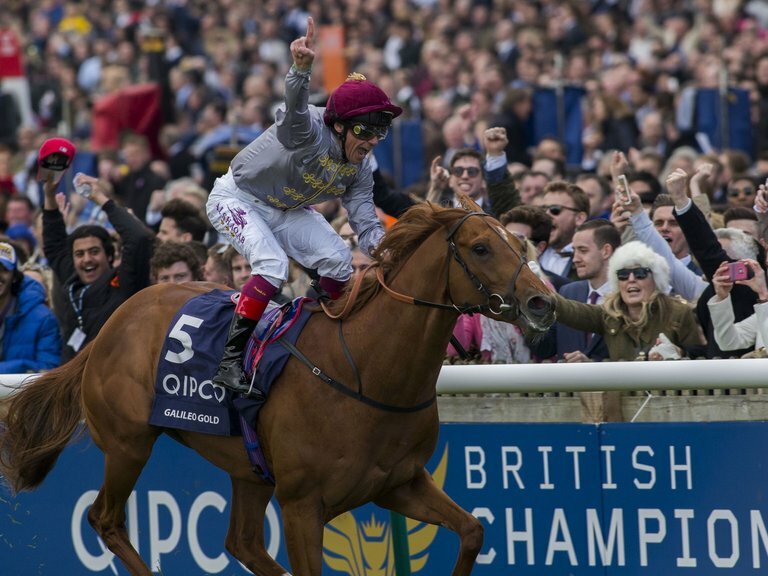 2013 saw Richard Hughes back in the winner’s enclosure as Toronado powered to victory. Kingman was far too good in 2014 as the pair of John Gosden and James Doyle stole the show. In 2015 Solow capped off a fantastic year by winning a fifth Group 1 race of the year, taking the Sussex Stakes. The 2016 Sussex Stakes takes place on Wednesday 27th July, and the ante-post entries make the race look the most competitive in recent years. Here we will give you are free racing tips for in this year’s race. Galileo Gold is the ante-post favourite at 7/4, and it’s hard to argue with that. The Hugo Palmer trained three-year-old, was somewhat of a surprise winner of the 2000 Guineas at Newmarket when setting off at 14/1. But in the hands of Frankie Dettori, the Thoroughbred colt powered to victory. Gold was then runner-up of the Irish 2000 Guineas and has many questioning if the win at Newmarket was a one off. Galileo Gold produced one of the best performances of the year at Royal Ascot to win the Group 1 St James Palace Stakes. A mile looks to be Galileo Gold’s best trip, and will take an excellent ride if someone is to beat him at Goodwood. The Gurkha found Galileo Gold to good at Royal Ascot in the St James Palace Stakes, when he finished runner-up. The Gurkha has won a Group 1 race in 2016; the colt was sent to France for the Poule D’Essai des Poulains at Deauville. Jockey Ryan Moore was in the saddle that day and has been in fine form of late, so we can’t rule out The Gurkha overturning the form book at Goodwood. Priced at 5/2 looks about right on the form. Alice Springs looks a big price at 14/1, off the back of a Group 1 win at Newmarket last weekend. Springs won the Falmouth Stakes by an impressive two and a half lengths. The AP O’Brien trained horse has only finished outside the places in two of her ten runs, so can’t be discounted here at Goodwood. At 14/1 I think this is a great price, but may need to find a little bit more than at Newmarket, but Alice Springs can certainly trouble the places in the Sussex Stakes. I really think Galileo Gold, The Gurkha and Alice Springs look the standouts for the Sussex Stakes at Glorious Goodwood. I will recommend a reverse forecast bet with my three sections. It will give you the safety that they just need to finish in the first three in any order. If you are after a win only bet then, I can’t see past Galileo Gold, after a very classy performance at Royal Ascot in the St James Palace Stakes. If you are after an each way bet then my tip would be Alice Springs at 14/1, has the form to push the top two in the betting. After a gutsy ride at Newmarket should travel south full of confidence. Article provided by stats, bets and tips.